According to the Central Statistical Office, in the academic year 2017/2018 there were approximately 1.3 million students enrolled in Poland, which accounted for nearly half of all people aged 19-24. The student population has been steadily shrinking since the academic year 2007/2008 and is currently at its lowest since 1999/2000. By contrast, the number of overseas students enrolled in Poland is rising and is expected to hit 100,000 by 2021. According to Savills data, Poland has nearly 450 state-owned student houses offering more than 120,000 beds and 35 student houses with just under 4,000 beds owned by private higher education institutions (HEIs). Private investors with no affiliation to any HEI provide approximately 6,500 beds. This means that only 15% of all students can be accommodated in student houses. “Both public and private higher education institutions are downsizing their accommodation offer, resulting in fewer beds available for students. This is due to, among other things, students’ growing accommodation requirements, leading to the closure of low quality schemes and fewer students accommodated in multi-bed rooms. 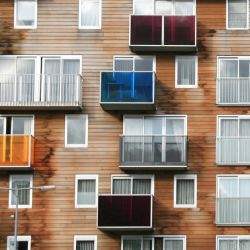 Rented apartments are an alternative to student houses and only private student houses can actually rival them for quality. Private projects feature many amenities and architectural solutions drawing on the culture of co-living,” says Wioleta Wojtczak, Associate Director, Head of Research, Savills. A survey of 250 Polish students conducted by Savills has revealed that a store and a gym are on top of the wish list of amenities in student houses. Nearly 75% of students prefer to be accommodated in single-bed rooms which remain scarce. PBSA developers are focusing not only on single-bed rooms with bathrooms, but also attractively-designed common areas in which to spend leisure time. Some of the most interesting solutions include a jacuzzi on the rooftop of LivinnX Kraków (Golub GetHouse) and a common laundry with table football at Base Camp Łódź. Rents for prime single-bed rooms in Poland range between PLN 1,300 and PLN 2,000 per month. Strong demand for student accommodation has bolstered PBSA’s attractiveness as an investment product. In 2018, the global investment volume in this sector topped USD 17 billion. The five-year average for transactions in the years 2014-2018 represented a threefold increase on the volume recorded in 2009-2013, which is reflective of a strong growth of investor interest in this asset class. “Poland’s PBSA is still a very young sector. It is however supported by global preferences of investors who want to invest in this real estate market segment in order to diversify their investment portfolios and thereby limit risks through products that are more resilient to short-term economic fluctuations. Supply is currently outstripped by demand for this asset class coming from both investors who look forward to more projects to buy and students facing a shortage of beds. 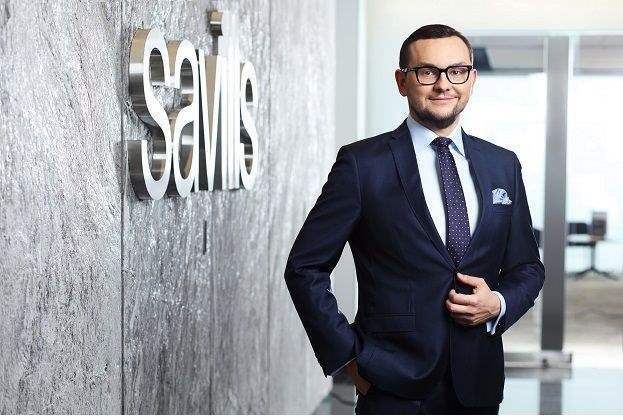 Given high occupancy rates at Poland’s first PBSA projects delivered to the market, this sector is likely to see its first big-ticket investment transactions soon,” says Kamil Kowa, Board Member, Director, Corporate Finance & Valuation, Savills. Bed provision in private student houses is steadily improving in Poland. There are currently 10,000 beds in the pipeline, including three projects in Warsaw and Krakow each, two in Gdańsk and one in Wrocław - all under construction. Top investors in this sector are BaseCamp and Student Depot. Public higher education institutions are also planning to upgrade student accommodation. The University of Warsaw, for instance, is planning a new student house at its campus in Służewiec which is expected to be completed in 2021. Proximity to universities is key to the commercial success of PBSA projects. However, due to a limited supply of lands in such locations, revitalisation projects are becoming increasingly popular. In Poland, these include an office building in Solec Street in Warsaw which has been acquired by Zeitgeist AM and will be repurposed as a student house. “Although the number of students in Poland is falling, the outlook for the PBSA sector is very positive. Students want to enjoy the best possible living conditions and can increasingly afford to do so. In addition, many value the privacy of a single-bed room and the atmosphere of learning and spending time together in specially designed spaces. A rented apartment won’t provide such an experience,” adds Wioleta Wojtczak, Savills.